HushDimension is a dynamic product that will create a statement and improve the acoustic performance of any interior. 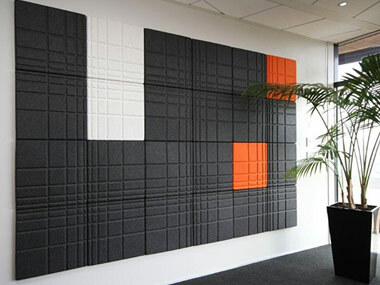 HushDimension tiles are demountable 3D tile that can be repositioned or changed so your interior will never be static. With a combination of shape and form coupled with excellent acoustic performance, HushDimenstion tiles allow you to create unique interiors rich with colour and textures all while reducing unwanted noise.